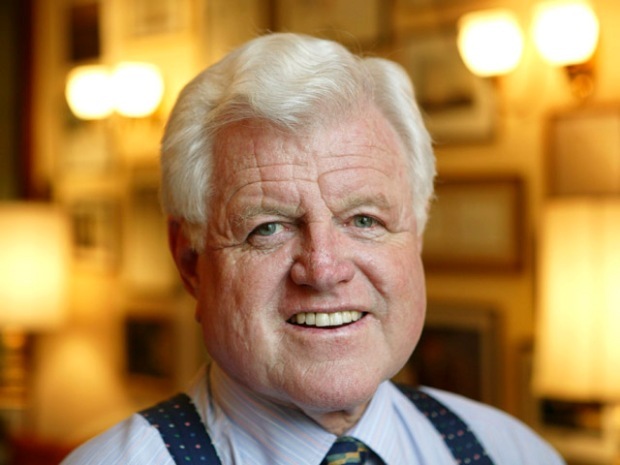 Sir Ted Kennedy has a nice ring to it, but does the title make him a patsy for the Queen? Is Sir Ted's knighthood unconstitutional? Strict translation: You can’t be a U.S. senator and a knight. But don't expect a serious constitutional challenge ahead. Even academics who study constitutional law were caught off guard on Thursday when the question was posed regarding Sen. Ted Kennedy's knighthood. This obscure section of the Constitution was written at a time when the newly formed United States wanted to make sure its new leaders weren't cavorting with the monarchy and taking on royal titles from its former oppresser. But Mark Heibrun, a partner at Jenner and Block and a specialist in Article I of the constitution said the clause “without the consent of Congress” makes all the difference . “Those are the key words,” Heilbrun said. "I think Congress can do anything they want here but I wouldn’t expect it to even go that far." British Prime Minister Gordon Brown’s announcement of Kennedy's knighthood on Wednesday scored the “biggest applause line from both sides of the aisle,” Heilbrun said.